Today I’m over at Oriental Trading Company sharing an adorable Candy Corn Cake Banner. I thought it would be fun to use the same material to create a project for you! 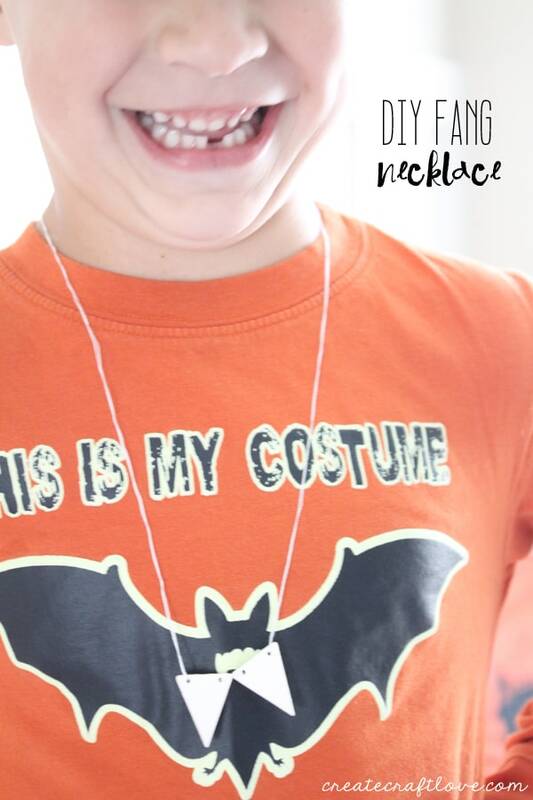 This DIY Fang Necklace is a fun kid’s craft for Halloween! 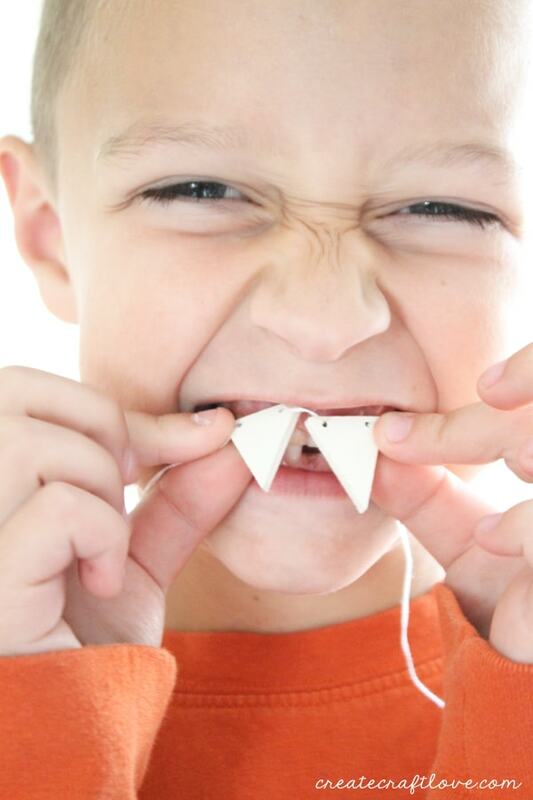 And my toothless little guy is the perfect model! This is super easy to make! Reed pretty much did it all by himself! 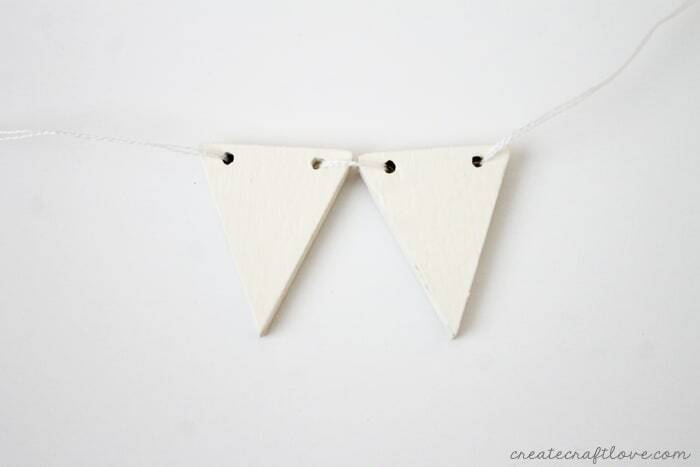 You can grab your own Pennant Wood Veneer Shapes HERE. 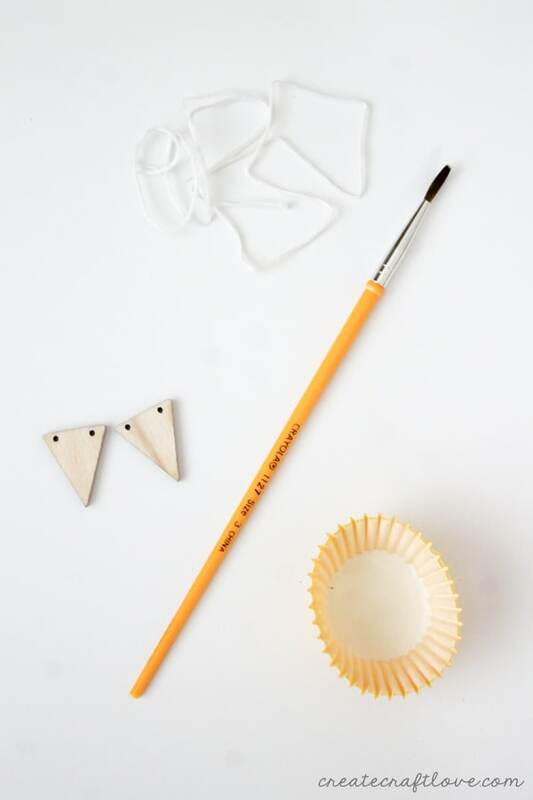 For this project, you will need the aforementioned wood shapes, white acrylic paint, paint brush and thread. 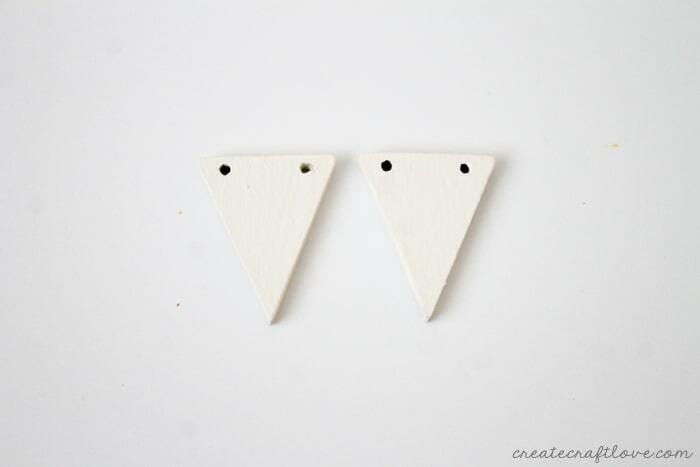 Paint your wood shapes white. It will take about 2 coats to completely cover. Allow to dry. Once dry, you will string them up on the thread. Simply tie the ends together and you are all done! Reed thought this was great! Especially since we just saw Hotel Transylvania 2! !